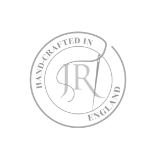 Our John Ryan By Design headboards are all Hand Made here in the UK. They come in a range of fabrics and design options. Please get in touch if you want more information. Our team will be able to guide you to the right product for you and your budget. We grade the products in our warehouse and the grading is decided based on the condition of the product upon return. 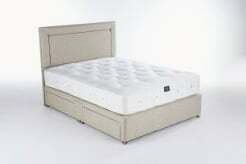 Most mattresses are Grade B or C. At this stage we cannot give you the history of each product or the very specifics of where any marks may be located so, if this is important for you to know then a clearance bed may not be for you and you can choose your mattress in the normal way. We do however guarantee that the condition will be no worse that described below and in most cases is actually better! B 10% DISCOUNT	 Product returned within 60 days and may have a small mark or scuff through transit. D 30% DISCOUNT	 Product returned within 60 days and has a few marks and one small tear through transit. E 40% DISCOUNT	 Product returned within 60 days and has several marks and up to one small tear through transit. F 50% DISCOUNT	 Product returned within 60 days and has several marks and more than one tear.